Considering the growing awareness and brand consciousness among people from different socio-economic backgrounds, currently, Infiniti Malls are successfully building upon a diverse retail base. Mukesh Kumar, CEO, Infiniti Mall (Malad & Andheri), has almost three decades of rich experience across the retail and hospitality businesses. As the Chief Executive Officer of K Raheja Realty Group-owned Infiniti Mall, he is tasked with the entire operations, leasing, and marketing of both malls in Mumbai and leading them towards an admirable retail model. 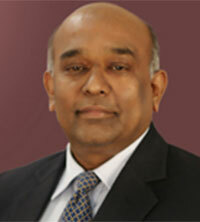 Before Infiniti Mall, Kumar mentored at Mumbai’s Ramada Plaza Palm Grove, a five-star business hotel, as Vice President. A stint at the American Embassy as the General Manager for their recreation, F&B, and commissary division also exposed the now-Infiniti Mall CEO to the international community. Kumar is an economics graduate with a diploma in hotel management as well as a Certified General Manager from the Ramada International University, Geneva. In an interaction with Ujjwal Rao, Editor, IIFL, Mukesh Kumar said, "Entertainment, dining, and leisure are the nutrients that are enriching the undernourished retail centers of today as they give consumers a reason to get out of their house and go to the mall instead of shopping online." Tell us about your journey as Infiniti’s CEO in brief and the recent challenges in the industry. I began my journey in retail with the opening of Infiniti Mall, Malad, in 2011. Considering the growing awareness and brand consciousness among people across different socio-economic classes, currently, Infiniti Malls are successfully building upon a diverse retail base. Today, our malls are an eclectic universe that house multiplexes, gaming zones, food courts, as well as recreational areas, among other facilities. Entertainment, dining, and leisure are the nutrients that are enriching the undernourished retail centers of today as they give consumers a reason to get out of their house and go to the mall instead of shopping online. Furthermore, improved architectural designs that give a ‘feel-good’ vibe assist in extending a customer’s length of stay at the mall. Easy-of-access and ease-of-navigation within the mall coupled with the hassle-free categorization of brands help the mall gain adequate attraction while making space for the customer to spend quality time. India’s mall business, which started sometime in early 2000, has gone from strength to strength. There was a brief disruption when the online channel started making waves, however, the business continues to grow due to the various positive aspects of offline shopping. How will the relaxation of multi-brand retail norms affect the mall business? Multi-brand retail formats enhance the mall business as a wide variety of categories & options are available under one roof. As such, the relaxation of multi-brand norms has had a positive impact on the overall retail business. What is the potential of the mall business in tier-2 and tier-3 cities compared to metro locations? Is there be a tailor-made strategy to address these markets? Tier-II and -III cities are the next retail destinations in the country owing to the increasing demand from these cities. To state a fact, the retail sector in tier-II and tier-III cities has witnessed much higher investment between 2008 and 2018 compared to metro cities. Additionally, factors like the lack of available space in metro cities, not to mention the high land prices, has made it difficult for retailers to expand in larger cities. India’s economic potential lies in the growth of smaller cities that have been witnessing transformation on all fronts. Being a key component of this development, retail has the ability to drive future growth and add value to the overall infrastructure in these cities. While there is definitely an opportunity for growth in the mall business, a strong focus is required to build the necessary infrastructure that can support this growth. Do you think that malls are turning into experiential centers rather than shopping centers with the entrance of e-tailers? What has been the impact on footfalls? How do the standard brick-and-mortar players plan to tackle this? The growing e-commerce industry in India will continue to add more and more channels and products for consumers. On the other hand, as far as malls are concerned, the differentiator is the experiential shopping. Today, people who visit the mall are looking for an experience where they can live, shop, and work, which is well beyond the traditional shopping affair. Moreover, the one very important service that online stores lack is human interaction. Stores of the future will tailor their omnichannel experiences to satisfy customers and boost sales. This also means the use of beacon technology to push offers and product suggestions to shoppers in the store. Whether it is using analytics to map where people walk or what they pick up in order to position products in the store accordingly or track consumer behavior through devices to target specific promotions, data will be used to understand customers and increase sales. Additionally, more and more transactions are being conducted via digital platforms and the industry will witness the emergence of new and more streamlined payment modes. Offline retailers will have broad use for these tools. How were the footfalls during Diwali 2018? There was a 20% increase in footfall as compared to last year’s Diwali. Was the increase because of the extended festive season this year or do you think there is some specific reason behind this pick-up? Our ‘Funotsav’ (Fun Festival) added to the merriment and turned the shopping experience into a special affair for our patrons during Diwali season. Both the malls at Andheri and Malad were decked up in whimsical, ethnic decor and majestic displays which ensured that visitors experienced and celebrated the festivities in style. Events and activities ranging from performances to carnivals were arranged for the customers. Announcing interesting offers and discounts also helped us captivate shoppers. This further enhanced patrons’ shopping, dining, and entertainment experience. How will technology fit into the mall business going forward? Is AR/VR on the cards? Will it help vendors reduce the store sizes due to inventory reduction? If so, how will it impact the mall business? Augmented reality (AR) and virtual reality (VR) are tools that will enhance customer experience on omnichannel platforms, but I don’t see any major impact on the mall business due to this. On the other hand, the resizing of stores is an ongoing process. Depending on the business growth, retailers either increase or decrease the size of the store, which is directly proportionate to the revenue generated per sq. ft.
What has been the impact of RERA and GST? Several recent government initiatives -- from the Real Estate Regulatory Act (RERA) and the Goods and Services Tax (GST) to Real Estate Investment Trusts (REITs) -- have all been implemented to improve the ease of doing business as well as to increase investor confidence. These initiatives did have a cascading impact on the market and resulted in a slowdown for a few months initially; however, currently, the new policies are helping the industry become more organized, transparent, and accountable, thus boosting buyer sentiment. Tell us about Infiniti Mall’s future prospects. What are your expansion plans going ahead? Have you been approached by any of the large real estate PE investors/foreign funds for investment? To increase the focus on our marketing & customer service strategies through more events and promotions in order to give a push to footfall & sales is our primary agenda. Additionally, we will continue with our best practices & will also enhance our services to offer infinite experiences to our customers, all under one roof. Along with metro cities, Infiniti is looking to expand its footprint in NCR (National Capital Region) as well as a few other tier-II cities. Most of our expansion so far has happened through internal accruals, however, we are not averse to look at joint developments/joint ventures (JD/JV) or acquisitions as long as they are viable. How is the current liquidity crunch, especially in the NBFC segment, affecting your business? Most of our expansions have been through debt and internal accrual; as such, we have not been affected by the liquidity crunch. However, this can affect the industry on a whole as many retailers tie-up with stores for EMI payments, which could get affected due to this crunch. What is the future of the Indian retail story and the mall business? The Indian retail sector needs to be conferred industry status to ensure that it gets land and power at industrial rates in order to drive consumption and demand in the country. Apart from decreased land and power rates, the ‘industry’ status will ensure investments through single-window clearance that will streamline license processes for investing in the infrastructure. The mall business plays a significant role in bridging the gap between products, brands, and consumers. It also employs a lot of people in the country and has a cascading effect in terms of indirect employment. With many developers focussing on this business, we could see many shopping malls come up in tier-II and tier-III cities in the future.